PORTLAND – Zykera Rice had 14 points and Laura Stockton scored 13 to help No. 13 Gonzaga beat Portland 93-62 Saturday night and extend its win streak to six games. Julie Spencer hit a jumper to give the Pilots (10-13, 2-10) a 10-4 lead. 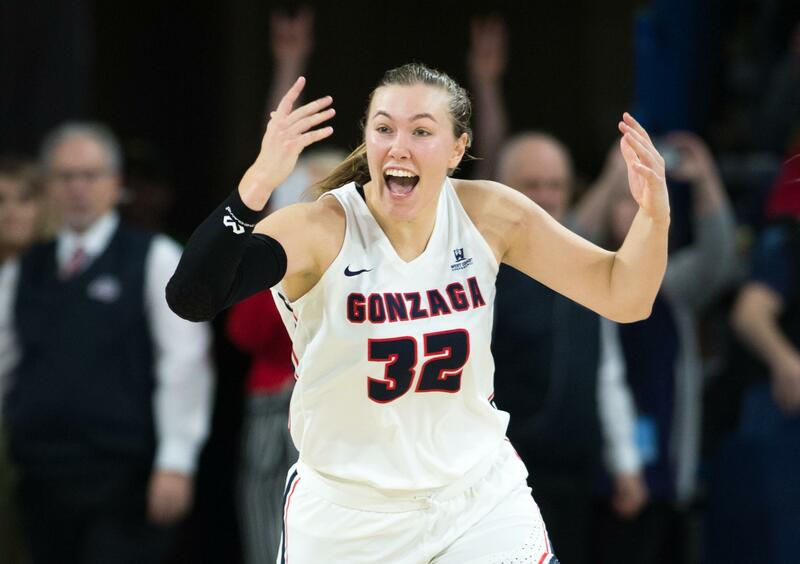 But the Pilots missed their next nine shots and scored one point over the next 9 minutes, 40 seconds as Gonzaga used a 19-1 run to make it 23-11 early in the second quarter. Maddie Muhlheim hit a 3-pointer that trimmed Portland’s deficit to nine points with 3:13 left in the first half, but Rice answered with a jumper to spark a 10-2 run that made it 40-23 at the break and GU led by at least 14 the rest of the way. Jessie Loera had a career-high 10 of Gonzaga’s 25 assists on 35 baskets. Ten Bulldogs scored two points or more and nine had at least one assist. Gonzaga is back in action on Thursday against visiting San Diego at 6 p.m. in the McCarthey Athletic Center. Published: Feb. 9, 2019, 7:49 p.m. Updated: Feb. 9, 2019, 11:13 p.m.